PE File Visual Resource Editor, Edit and Replace Resources in Windows EXE or DLL OCX SYS files. 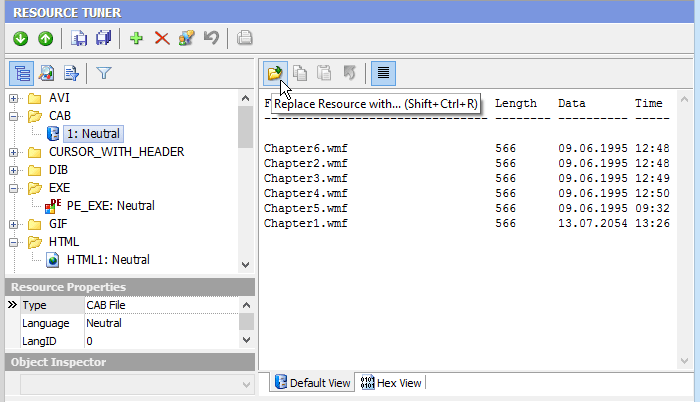 Add, edit and replace existing resources in your EXE or DLL files. Resource Tuner lets you open Windows executable files such as .EXE, .DLL, Device Drivers (.SYS), ActiveX .OCX Controls, and several others. Once inside, you can change the look of the icons, cursors, dialogs, buttons, strings, sounds, animations and other elements of the Windows user interface by editing and replacing resources in the executable files. Not all of those resources support direct editing, but for most you can replace and edit them. This would allow you, for instance, to add your own custom branding to an application, change dialog messages, customize toolbar actions, and so on without having access to the actual source code. All changes made to resources can be watched on the screen and, if you are not satisfied with the result, you can return to the previous state. Any change you make can be restored prior to quitting the editor. You also have an option to create a backup copy of the target file (enabled by default). So by no means you can overwrite any important files. 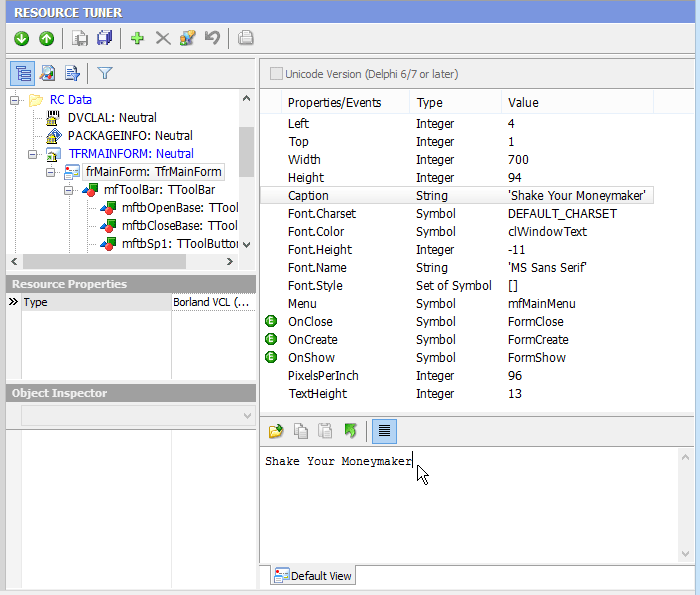 Depending on the resource type, the Resource Editor automatically starts the appropriate editor mode (Graphics, Dialog, Menu, DFM, Text, Media or Version Info), if one is available. 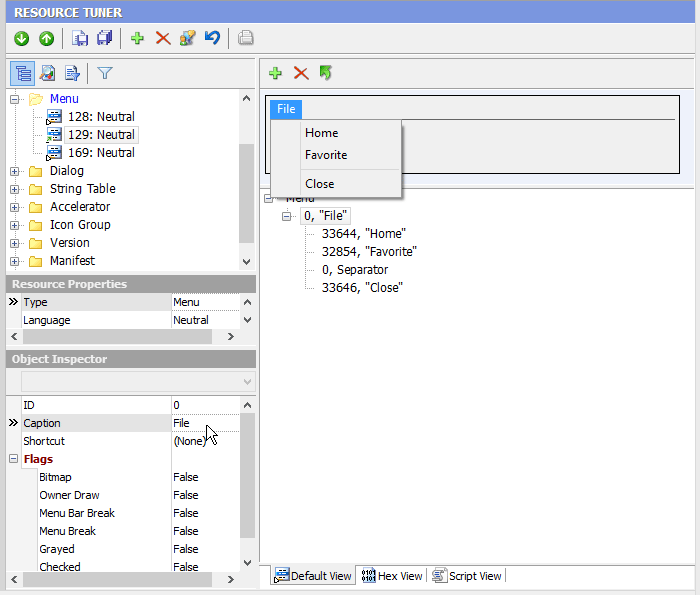 Resource Tuner allows you to edit the properties of controls on Delphi forms within the PE file. Because Resource Tuner has itself been written using Delphi, there's a very strong emphasis on peeking inside Delphi applications and packages. 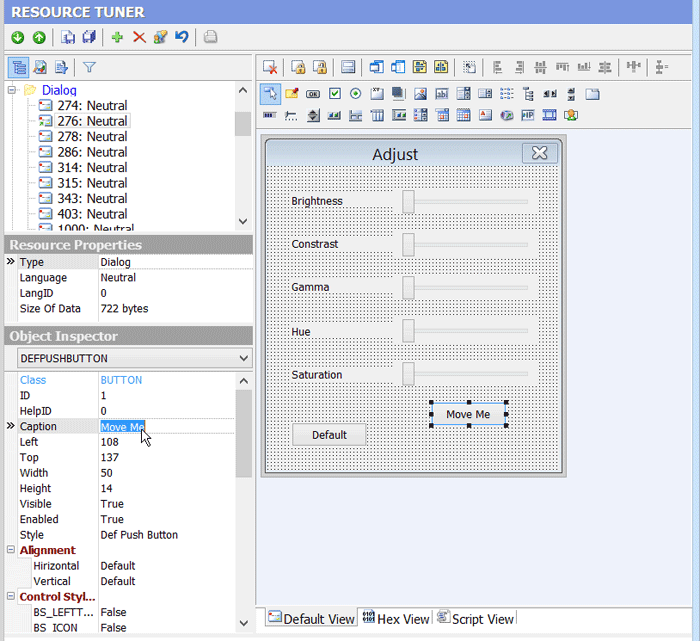 If an editor mode is not available (for example, for a user-defined custom resource), Resource Tuner allows you to replace it anyway. A command-line version of the resource editor is also available.